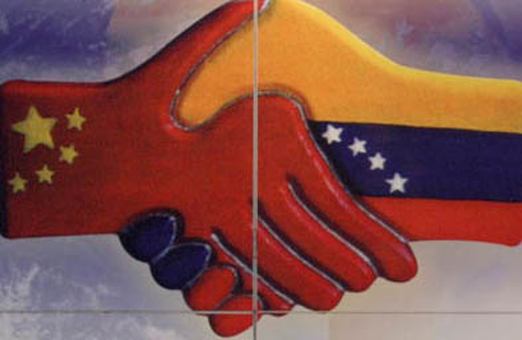 “Chávez … explained that Chinese banks give out loans to Venezuela and, in exchange, Venezuela supplies China with oil. “This is important because (the opposition) said Venezuela couldn’t sell oil to China, because it was too expensive. Meantime, we were giving our oil away to Western powers, to oil multinationals and their respective countries,” he pointed out. So, let’s get this straight. Venezuela sells oil to China. China, in turn, pays in advance, or something. In exchange for that, they get to review and decide what projects they let us invest our oil money in. Let’s tell the Chinese: we’ll sell you oil, lots of it, all the oil you need. In exchange, you give us money, be it dollars, yuan, yen, or whatever. We take our money, and we do with it whatever we damn please. As I see it, these agreements are win-win for the Chinese. They get lots of oil, presumably at a discount. In exchange, they get to decide what we do with our oil money, which you can be sure involves lots of big, fat contracts for Chinese companies selling Chinese products to Venezuelans, with lots of hefty commissions going around and nobody bothering to oversee anything. And this is what they call “sovereignty” in Hugo Chávez’s Venezuela! There’s a word for this in Chinese, and it’s not 主權. It’s 賣淫.